Just follow these steps at checkout to pay for your order without having to open a PayPal account. Fill in your delivery and billing address details. Using an Eircode post code is optional, you can leave the post code blank or just fill it with six zeroes. 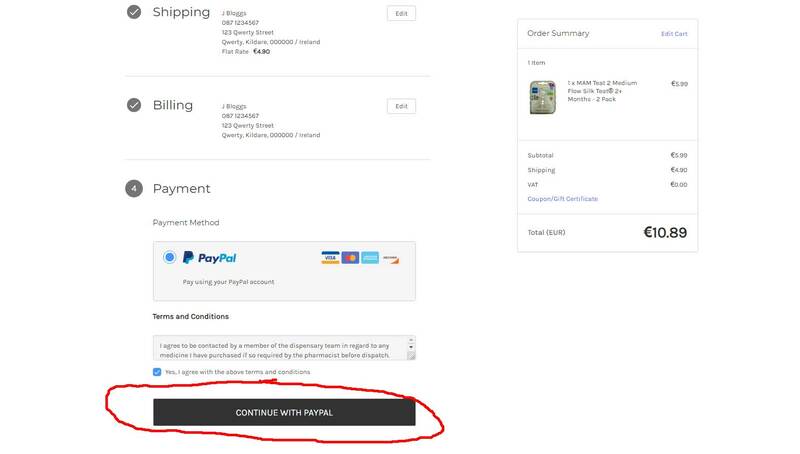 Click on the CONTINUE WITH PAYPAL button at the payment stage as shown in the photo. 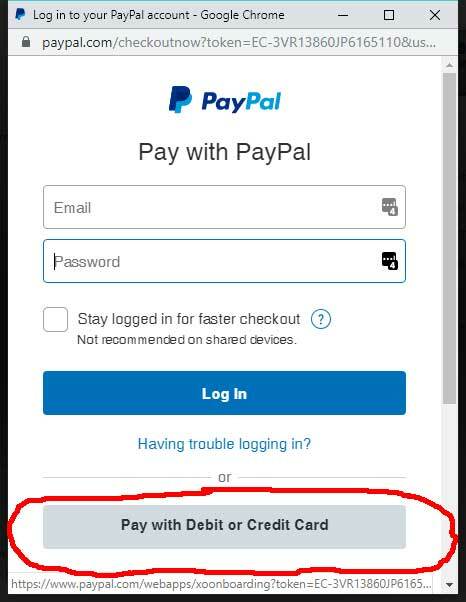 This brings up another screen giving you the choice to login into your PayPal account or pay with credit or debit card. Click on the PAY WITH DEBIT OR CREDIT CARD button as circled in red shown in the photo. You will now be brought to a secure page in PayPal that allows you to enter your debit or credit card details as shown in the next photo. 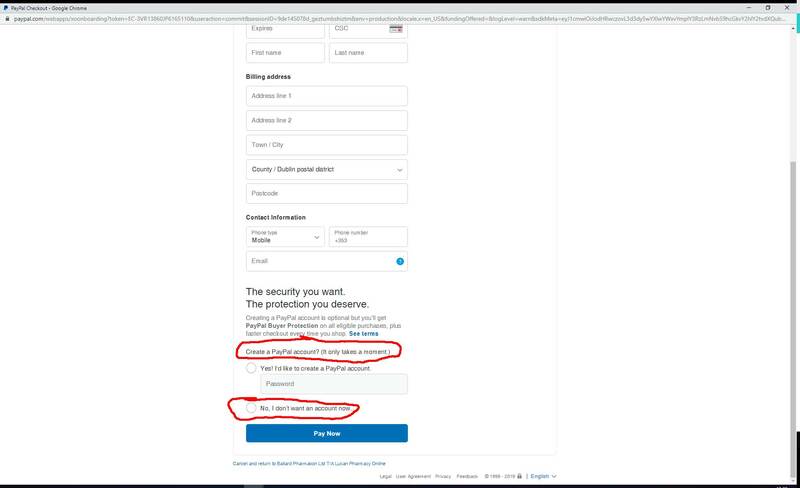 When you fill in your details you will scroll down the page and you are given a choice of creating an account with PayPal which you can decline by selecting the button shown circled in red in the next photo. 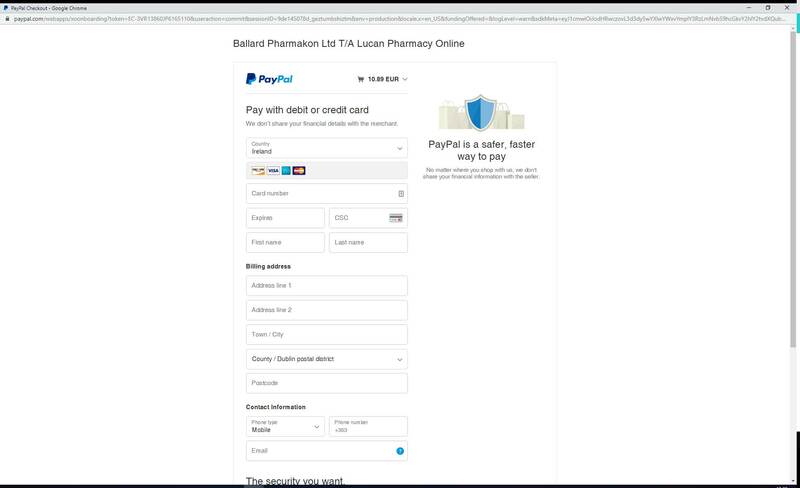 After selecting No I dont want an account now button click the PAY NOW button and you are brought to a thank you screen on the Lucanpharmacy.com website.